Beginning July 23, it will be against the law for Washington drivers to use hand-held electronics while they are driving. This includes all electronic devices—cell phones, tablets, laptops and video games. Tickets for driving while using hand-held electronics will go on your record and be reported to your insurance company. The new law was enacted by the state Legislature this year. The original bill was sponsored by Sens. Ann Rivers, Marko Liias, Reuven Carlyle and Patty Kuderer. 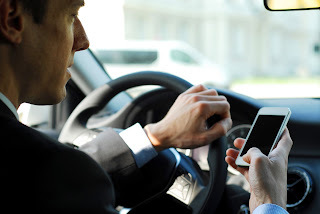 According to the Washington state Traffic Safety Commission, fatalities from distracted driving increased 32 percent from 2014 to 2015 in Washington, and one-quarter of all crashes involved a cell phone in use just prior to the crash. The commission’s most recent collision report, from 2014, shows that distracted drivers crash every 12 minutes. Distraction was a factor in 40 percent of all collisions, the single most frequent contributing factor in all collisions that year. Distracted driving was a factor in 123 fatal collisions. The number of collisions in your region contribute to increased insurance premiums. If the number of collisions increases, your rates are likely to as well. Read more about the new law from Target Zero. The "new" version of the Senate's health care bill released yesterday is just as bad – if not worse -- as the previous version. Touted as the “Better Care Reconciliation Act,” the bill does nothing to live up to its title. If enacted as is, the legislation would drive up costs for lower-income and older individuals, severely weaken consumer protections and leave more people uninsured. There’s no doubt that the Affordable Care Act needs fixes. But Congress for years has refused to make them. Instead, the focus now is on legislation that would be devastating for all states, including Washington, as Gov. Inslee and I noted recently. As I’ve said repeatedly, the best thing that could happen is for the Senate to reject the current bill and start over. Some are proposing a bipartisan approach. Let’s hope this can happen.